Why do we celebrate Thanksgiving? One of the biggest reasons we love to work at The Group Real Estate, is the family value that is so heavily prevelant. As we go about the real estate world, looking for home for sale in Idaho, we always push a family need, want and powerful value towards family. 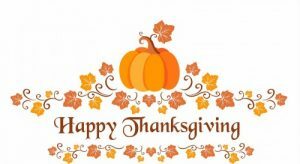 One of the many reasons to celebrate Thanksgiving is it is a time when we get to spend time with family, we get to be with family, and even times we get to reminisce about family. Well, we all know the tale. Or the truth, I guess I should say. As the pilgrims finally sat down with the Native Americans at the time, introduced them to new foods and eventually made peace with them. This is the time that we celebrate. 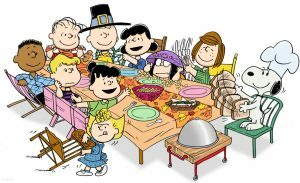 As a coming together, a time to give thanks, and full reason to enjoy some great food. Just as the Native Americans were able to experience at that time, sitting down with the Pilgrims. 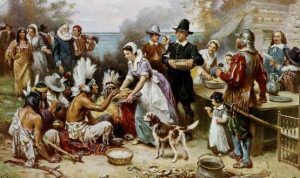 To which the Pilgrims probably gave thanks for the Natives allowing them to live there, for their lives, and for the chance to indoctrinate them to new and strange things. As we talk about this time, knowing why we, as a whole, celebrate Thanksgiving, I leave it to the notion now, why do you celebrate Thanksgiving? What are some great things that you do, maybe, traditionally, as a family, with friends, or on your own? I have many great memories of family and friends getting together, as I grew up, doing big, huge Thanksgiving dinners, with grand parents, cousins, uncles and aunts. We would all convene at my grandparent’s church house in Rigby. As we did this, we would have cousins from both sides of the family show up. It was a very big to do. These are some great memories, as we would always have the gym to play basketball and volleyball in. I have many memories with my family, and more so with my extended family. This is one of them. I have so many grand memories of sitting with my cousins, with my grand parents (who I have lost all of, except one, in the last 3 years), and with my family. This is truly the main reason, for me, to enjoy Thanksgiving. A time to be with family. At the time, I didn’t realize at all, what it was going to do for me in my later years. As I look back on this, I can realize, fully that this was a time that I would look back on that would help me realize, even more so, that family is the most important thing I will ever have in this life. Family has been the one thing that drives me in all that I do, whether its my work, my bodybuilding or even my recreation. My family is what drives me in my life. I will look back on those wonderful times for Thanksgiving knowing that it is truly important that we celebrate with family. As family is the most important thing in this life.